BLAZING STAR RANCH is a farm located in ENGLEWOOD, Colorado owned by Karen Champion. We are so proud to have bred this boy. He now has 18 Championships! Please consider him in your gray breeding program. 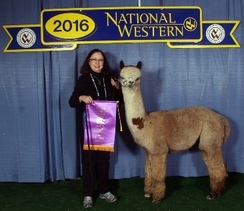 Two of his daughters have taken Gray Female Color Championship at the National Western Stock Show! 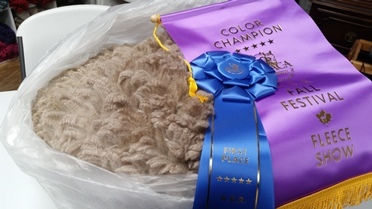 JUDGES' CHOICE in Cottage Fleece at the AOA National Fleece Show with his 5 year old fleece! Blazing Star Ranch is a yarn and fiber store with a heavy emphasis on spinning and weaving, and an alpaca farm in Colorado that began in January 2010. We started with 2 alpacas and now total 30. Seven years into the business, we are seeing the fruits of our breeding decisions. We'd like to help you with yours. 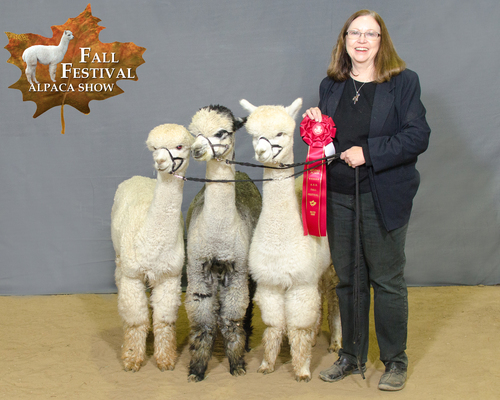 Our goal is to breed healthy, hardy alpacas with elite fleece and I think we're doing just that. Take a look at my herd. 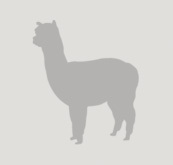 I think you'll find someone you like! I agist all my animals, so, as babies are born, I must sell a few (though it pains me to). Why buy from us? We offer the best support and mentoring we can provide. We take that duty very seriously. 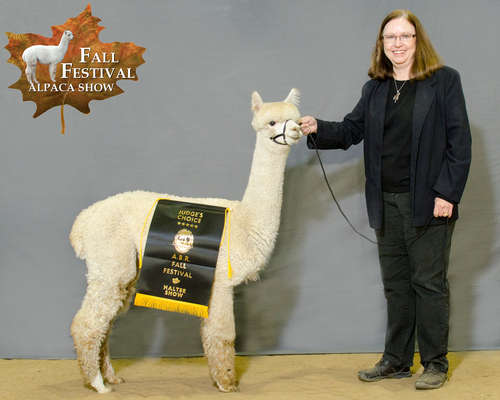 We also have a few alpacas who for various reasons will be not used in our breeding program. They are available at non-seed stock prices and would make excellent 4H, pet, or fiber animals. Our yarn and fiber store opened inside Anderson's Vacuums in the late fall of 2012. We carry Majacraft, Ashford, Spinolution, Schacht, Kromski, and Louet spinning wheels and a variety of natural fibers, yarns, and the tools to work with them. Small looms are available from Ashford, Kromski,and Schacht. Yarns include Misti Alpaca,Noro, Wonderland Yarns, Done Roving, MJ Yarns, and many more. For weavers, we have coned yarns including mercerized and unmercerized cottons and wools. We are adding more all the time. We have a wide selection of rovings--alpaca (from our herd), camel, yak, merino, BFL, silks, and bamboo and dyed rovings from Frabjous Fibers, MJ Yarns, Noro, and more! Come visit us! We're at 3424 S Broadway, Englewood, CO 80113, inside Anderson's Vacuums (just a block and a half N of Hampden, on the east side of Broadway.) We're open Mon - Sat 10 - 6 and Sundays 10 - 2. I am usually in the store Tuesday - Thursday 11 - 5 and Saturdays after noon. Mondays and Fridays I'm out with the alpacas. We offer a variety of classes, including Beginning Hand Spinning (both on a wheel and drop spindle) and Weaving on Small Looms. Click on the "More" tab above and then go to the "Our Events" page (click the More Info tab) for class schedules.